Grab your knitting and a friend and join us for the October Knitting Guild meeting! 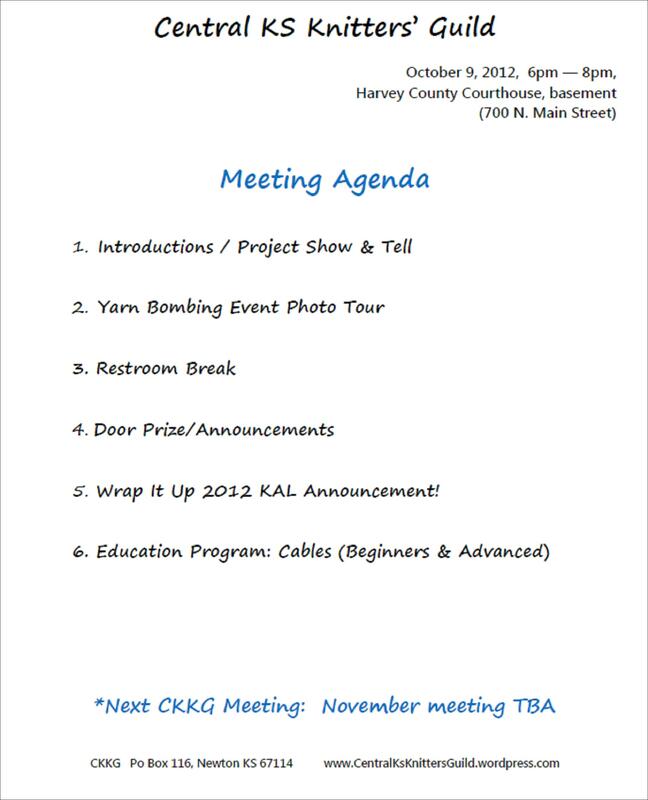 Next Tuesday, Oct 9th from 6-8pm at the Harvey County Courthouse (Newton, Main & 7th streets). *Check our Ravelry page for more information and carpool details. We have several new members from the Wichita area! Don’t miss our exciting announcement about the Wrap It Up 2012 KAL! I promise, you won’t want to miss out!